What was aim of the campaign? 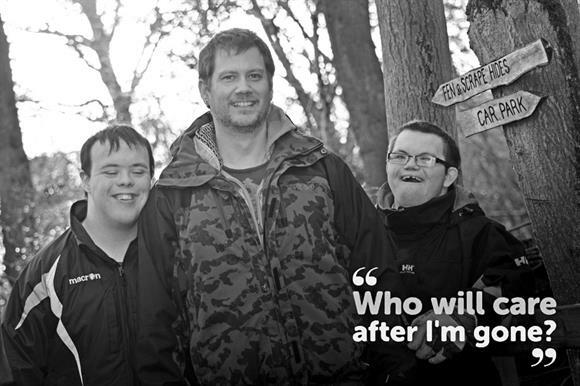 FitzRoy, a national charity that supports people with learning disabilities, wanted to give a voice to parents of children with learning disabilities, particularly about the pressures they felt providing care. The charity worked with Forster Communications to develop and promote a report about those pressures, specifically the concerns many parents had about what would happen to their children once they were no longer around to look after them. Forster and FitzRoy recruited a group of parents for a series of focus groups on caring for children with learning disabilities. They commissioned a survey of professionals who work with people who have learning disabilities, asking them about existing support systems. The findings were used to develop a hard-hitting report called Who Will Care After I'm Gone?, which included a series of recommendations for change. The report generated 20 pieces of national and trade coverage from media outlets including BBC Breakfast, BBC Radio 5Live, The Sunday Times and The Independent. The Daily Telegraph ran a feature based around the story of one of the parents who took part in the focus groups. The campaign increased visits to the charity’s website by 75 per cent compared with the previous fortnight and engaged a range of key influencers, including then Prime Minister David Cameron and the Liberal Democrat MP Norman Lamb, who both committed to addressing the issues that affect parents whose children have learning disabilities. The campaign also drew support from the prominent children’s disability campaigner Rosa Monckton and the Joseph Rowntree Foundation. David Dinnage, interim senior director of communications at Big Society Capital, said the agency used a simple and effective approach that employed person-centred research on a highly emotive issue. He said it generated excellent results and raised the awareness the charity had been seeking.